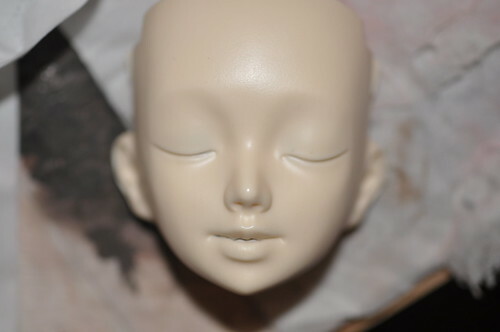 I'm still here, working on my not-new-anymore BJD that is still split into pieces and can't be assembled >< Next time I get a doll (if any) I'll make sure that I can take pictures of it shortly. I finally got a head for my Dollstown elf body - that's the good news. I now need to finish it's modding and reshape the neck joint. I've done some more mods on the body as well, I would do some more but I'm going to get this over since I'm really getting tired of this project.